3. 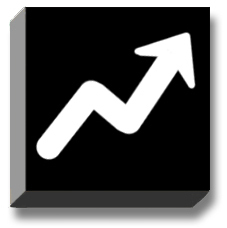 Path Progress: Navigate through setbacks, path progress, enable work and achieve small wins. Snakes and ladders. If progress is the ladder on the classic board game of snakes and ladders than setbacks are the snakes. It is very important to realize that the effect of setbaks on emotions is stronger than the effect of progress. Small loses can eliminate small wins and negative managerial behavior trumps positive management. As we climb up the pyramid of engagement we must guard against setbacks perhaps even more than working towards making progress. The 3-block pyramid of engagement. 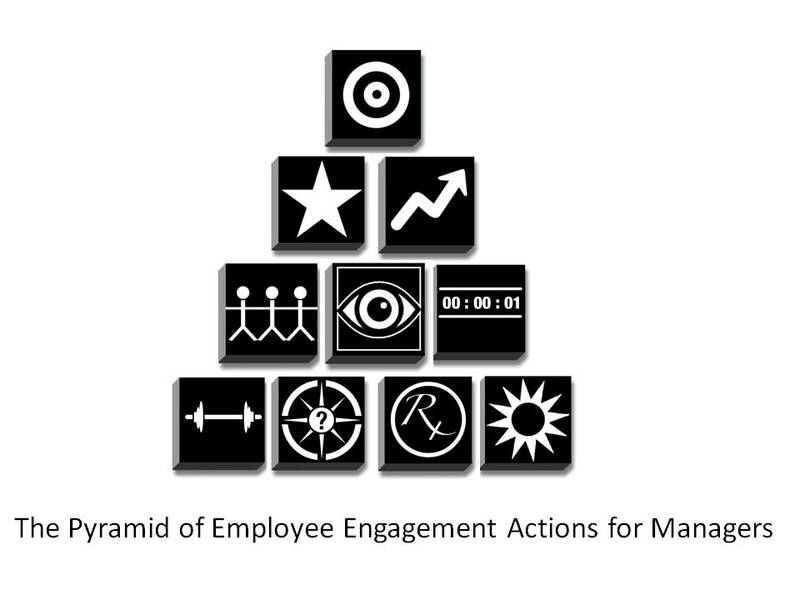 In my pyramid of engagement Path Progress is in the second row to indicate how important this building block is for managers to increase employee engagement. It is naturally paired with maximize performance as these concepts are paired together to achieve results. Accentuate the positive. Continually work towards small wins and breakthroughs. Ensure employees are working towards meaningful goals paired with sufficient autonomy to achieve success. Managers can ensure resources, time and help are available on the path of progress. Managers can catalyze progress by ensuring proper resources and tools as they also nourish progress by fostering strong interpersonal connections focused on progress. What can I do to prevent setbacks before they occur with my work group? What can I do to overcome setbacks once they have occurred? Hack your work and work around. Hacking work and workarounds are two powerful twins to achieve progress and minimize nasty setbacks. Bill Jensen and Josh Klein wrote Hacking Work to outline how we can hack our work to achieve progress. Hacking work is getting what you need to do your best job by exploiting loopholes and using workarounds to make it easier to do great work. I encourage you to read a previous post I wrote as a review on hacking work. Another book that just came out based on the same idea is Russell Bishop’s Workaround that Work. It is not always up to the manager to ensure progress, employees can seize control of how they do work and create powerful benevolent hacks or workarounds to get the job done and heighten their own engagement. Ready, willing and able. We must ensure that not only are employees ready and willing to be engaged they must also be able. Engagement without enabling is a fast track to frustration. Up to 20% of your engaged workforce may be frustrated because they are unable to fully act on their engagement. Mark Royal and Tom Agnew wrote The Enemy of Engagement offering a framework to end workplace frustration. They found that about 30% of employees don’t get clear goals and feel they lack authority to do their jobs. About half of all employees are concerned with adequate staffing, don’t feel they have time for training, that other teams in the company do not offer high-quality support, and that their organization is not effectively structured. They offer numerous suggestion to lessen frustration by enabling employees with such methods as: making training a priority, share people as well as resources, and beware of the “trap” of routines. Celebrate progress. Don’t forget to celebrate progress. You should have celebration markers along the way. The celebration can be a quiet yet mindful internal sense of satisfaction to a high five or more formal recognition. My model for this is Usain Bolt who slowed down in the last 20% of his 100 meter race at the Beijing Olymicps and still achieved an Olympic record time of 9.69. Physicists calculated that Bolt could have finished in 9.55±0.04 seconds had he not slowed to celebrate before crossing the finishing line. Progress is not always about ultimate record breaking achievement — we have much to gain by celebrating achievement even if it costs us a tenth of a second! Mark Royal and Tom Agnew, The Enemy of Engagement: Put an End to Workplace Frustration and Get the Most from Your Employees. Next post in this series: Build Relationships: We get our work done with others not through others. Bonus: I encourage you to view the slides and listen to this informative 40 minute interview/webinar with Teresa Amabile on The Progress Principle. The Progress Principle and Employee Engagement from David Zinger on Vimeo.